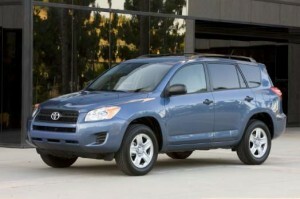 Now that SUVs have become more compact and less bulky, they are gaining quite a following. Crossover SUVs are more fuel efficient, better handling, and can provide nearly as much cargo space and luxury as their bigger siblings. Typically, they are much easier on the bank account come payment and insurance time as well. For those drivers who enjoy the convenience and capacity of the SUV, but prefer the driving style and cost of a large sedan, we’ve taken research from top automotive testers at Car and Driver, Consumer Reports, Edmunds, and Motor Trend to bring you the best compact SUVs of the 2011 model year. Don’t be fooled by the low MSRP of the Tucson, it outclasses its rivals in many categories. With the Tucson you’ll get two engine choices, but you’ll never drop below 20/27 mpg (city/highway) in fuel efficiency, even with the AWD. The interior features a twin-cowl dash in a two-tone color scheme that possesses a great functionality for all drivers. The optional touchscreen navigation system is both easy to use and well within the driver’s reach. The 55.8 cubic feet of cargo space is adequate, but not as much as what’s offered in competitors like the Toyota RAV4 and Honda CR-V. On the other hand, the Hyundai offers a more lively driving experience than either competitor. 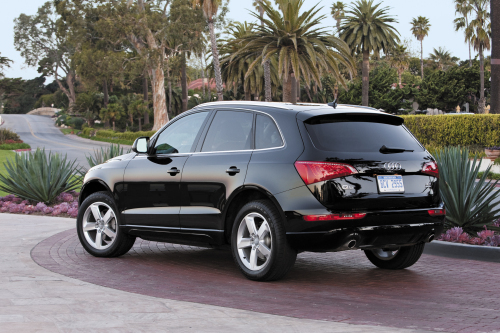 The Q5 comes with a turbocharged 2.0L four-cylinder engine standard, but if you want to increase to the above-average maximum towing capacity of 4,400 pounds properly equipped, you’ll need to spend the extra $7,000 and upgrade to the 3.2L V6. Most will want this gem more for its interior luxury than its power though. Despite its compact size, the Q5 manages to feel roomy whether you’re seated in the front or rear. The rear seats slide fore and aft, which is a rarity in this segment of luxury crossovers, and the seats also recline for greater comfort. It features 57 cubic feet of cargo space, which is about average for its class. For a smaller SUV, the RAV4 remains one of the most spacious available. Its maximum 73 cubic feet of storage space leads all competitors, and the optional 3.5L V6 can up towing capacity to 3,500 pounds properly equipped. The load floor for the rear cargo area is quite low, minimizing strain on the back when loading, but the rear tailgate swings to the right, making it an inconvenience to unload if you’re parked on a curb. It offers a smooth ride and compliant handling, though road noise can be intrusive in highway settings. In 4WD models, power is sent to the front wheels until slippage is recognized and then it’s sent to the rear, easing fuel efficiency a bit. The CR-V isn’t big on power, but that’s about the only category where you’ll find a weakness on this one. Braking is above average, coming to a stop from 60 mph in just 119 feet. The cabin is both functional and attractive, and the split-level cargo space expands to a maximum 73 cubic feet from an already generous 35.7 cubes. Being marketed as a family vehicle, the SUV also possesses parental favorites like wide-opening rear doors, a sliding/reclining back seat, and a lightweight rear liftgate. On the driving side, the CR-V is soft-riding and tight in steering, all with a very reasonable MSRP.